I came into the Cayuga Trails 50, which doubles as the US National 50-mile Championship, off of one of the best training blocks I've had in recent years--a six-week stretch of over 650 miles with some excellent workouts on both the roads and the track. In the weeks leading up to the race, I was extremely excited and confident. 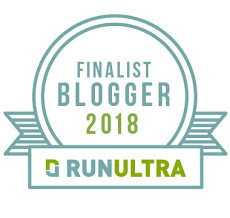 I couldn't wait to get back to Ithaca and run the beautiful trails of Treman and Buttermilk Falls State Parks, to compete with my MPF/RNR teammates, and hopefully put up a national-class result. Six days before the race, unfortunately, the family and I were in a pretty good-sized car accident (we're all ok, thanks! A little sore, but no major injuries. No, it wasn't the new car; it was Jodi's car, which was eleven years old and had over 200,000 miles, so she's going to get a new one.) and so my final week of preparation wasn't quite what I had hoped. But between some ART from Scott Field at Performance Sports and Wellness, some electrical stimulation from Greg Cecere at Momentum Physical Therapy, and some excellent massage from my good friend Angi Williams, I was able to make it to the start with some soreness in my ribs but otherwise ready to go. I graduated from Cornell in 1997 and so Ithaca holds a very special place in my heart. I had run the inaugural CT50 two years ago, and I knew that my friend Ian would put on another world-class event. Plus, this was one of the big races for the Mountain Peak Fitness/Red Newt Racing team. Many of my teammates were gathering in Ithaca to test ourselves against some of the best in the country. Ian hosted a pre-race dinner for the team at his house on Saturday night, and I had a great time meeting some of my new teammates and catching up with some old friends as my kids ran around with Ben's and Ian's in the backyard. Race morning was overcast and a bit humid, but with temps in the mid-50s, nearly perfect conditions (though the trails were a little soggy from recent rain). My warmup was OK; my ribs were tender from the accident but didn't feel as though they would limit me much, and my legs felt absolutely ready to go. We took off at 6am, the start feeling a bit more controlled than it had two years ago, which had felt like an all-out sprint to the mile mark; I settled into a quick but comfortable tempo, about twentieth place, running with Brian Rusiecki and several others at the tail end of the lead pack. We strung out pretty quickly, and by about the ten-minute mark I was running with just one or two others as we started to climb the steps past our first gorge to AS1. The requisite elevation chart. Yeah, it's as bad as it looks. The CT50 course is an unrelenting beast. It's more or less a double out-and-back, with four major climbs per lap, a total of 10,000 feet of elevation gain. The footing is generally superb--a mixture of double-track, some paved roads, and a ton of technical but eminently runnable singletrack. And steps. Oh, my god, the steps; hundreds of them per climb; thousands over the course of fifty miles. It's a brutal course because almost the entire thing is runnable but extremely hard. You rarely get a break from going uphill or downhill, and when you do, you feel like you need to take advantage of it and hammer. And that's a tough combination. In three years, only five runners have ever broken seven hours, and they're some of the best ultramarathoners in the country: Sage Canaday, Chris Vargo, Matt Flaherty, Jordan McDougal, and Mario Mendoza. My point is, it's not a PR course. In 2013, I had run 8:48 for 16th place. My goal this year was eight hours, which was a pretty good bet to be in or close to the top 10; I thought even with an OK day I was in shape to run 8:15-8:20. Anything outside of 8:30 or a top-15 finish was, frankly, going to be a disappointment. Ideally, I'd like to try to run even splits, but on a course like Cayuga, this is incredibly difficult; since there is obviously no respite in the second half, some slowdown is almost inevitable. I set a target of 3:45-3:55 for the first lap, which would give me a bit of a cushion to slow down by 10% or so over the second half and still have a shot at that 8:00-8:15 goal. I climbed the first section well and reached AS1 (5K) in 26:30, a little faster than I wanted to be, right with Scotie Jacobs, a MPF/RNR teammate and the facilities manager for the Ithaca Beer Company. Scotie and I don't know each other well, but he is easy company, and a very strong runner, and we attacked the next section of the course with a bit too much enthusiasm. Scotie was definitely pushing a little faster than I would have otherwise, but I was feeling great, and I was so excited to be not just racing--finally, after all that prep--but racing with a teammate, and went along for the ride. We hit AS2 (seven miles) at 59:30--way too fast. As Scotie said, though, at this race, you have to take what the course gives you, because it doesn't give you much. I settled in. The miles clicked by pretty easily. I pulled away from Scotie and ran solo for awhile, feeling in control; he caught back up and pulled a bit ahead on the bomber descent down to the base of Buttermilk Falls, the quarter pole for the race (1:50 and change, still a little fast but seemingly in control). We immediately started climbing back out of the gorge, passing through the aid station without stopping; I hadn't stopped at an aid station yet and wasn't planning to for awhile. We saw Elizabeth and Joe Azze within the first half mile of the climb; Joe chased us with his video camera as Scotie and I ran what I thought was a pretty solid ascent of the gorge. Just past the top I pulled away again and was running solo; I felt great and focused on running a sustainable tempo for the second quarter of the race. I picked off a couple of spots and before I knew it I was heading back toward the start/finish line at the end of lap 1, hitting the turnaround in a near-perfect 3:49 (1:50/1:59), in 17th place. 1. There were about ten runners, including Scotie and our teammate Ryan Welts, tailing me by about five minutes or less. 2. I was starting to get really, really tired. The first problem wasn't a big deal. I didn't have any room for error, but I wasn't far from where I wanted to be either; Cole, Carlo, and Silas were running ninth through eleventh, and I wasn't more than ten minutes behind them. Both my time and place goals were within reach with a strong second half. The second problem was obviously going to be an issue, but my legs still felt pretty good. Nutritionally, I was on top of things. My stomach felt fine, I was well-hydrated. If I could run close to two hours for the third quarter of the race--giving up about 1 minute per mile to my time from that segment of lap one--I'd be in good shape. I was definitely walking more now, but was still making solid progress. I saw Ian just after AS6, which I reached 30 minutes after leaving the start/finish, having surrendered my minute per mile. I could tell from his expression that I still looked OK. Fake it until you make it, I thought, and pushed on down past Lucifer Falls. I hit AS7 in 5:01, 72 minutes since the turnaround and a little slower than I wanted, but hanging on. Legs still OK. It was on the descent into Buttermilk Falls nearly an hour later that I knew I was in trouble. Until then I had been holding it together--leaking minutes, to be sure, but I had actually picked up another spot or two, and was maintaining about 10 minute/mile pace over some pretty difficult terrain. But as I started the descent I could tell my quads were not going to hold on for another 13 miles. I hobbled downhill, each step becoming more and more painful; I tried to open up the stride to remove the "braking" element from my quads, but couldn't maintain the turnover. I reached the aid station at 6:01, still technically on pace for an eight-hour finish, though that obviously wasn't going to happen. My three quarters of the race had now gone roughly 1:50, 2:00, 2:10. Could I run a 2:20 for the final quarter, maybe salvage an 8:20 and hang on to my top-15 finish? There's not much to say about the last 12.5 miles beyond the fact that it sucked. I walked, limped, hobbled, spent a miserable 160 minutes out there just trying to move forward. My quads were so shot that on the final stair climb up Lucifer Falls, with about five miles left in the race, I literally questioned whether I could get up the staircase. I lost eleven spots in the last 12 miles and it's a miracle it wasn't more. My quads felt like they had been through a meat grinder; I couldn't run uphill or downhill, and could manage a slow jog on the rare flat stretches. By the time I stumbled into the finish chute I didn't really care how poorly it had gone, I just wanted it to be over. Is he laughing at me? I think he's laughing at me! For now, recovery, and a quick rebuild before the Whiteface Skyraces at the end of this month. All hills between now and then. I'm not expecting much; I can't imagine the course will suit me particularly well, and I have to let Ryan beat the crap out of me on a course like this since he was a good sport and came to a "runnable" one last weekend. So hopefully it'll just be a fun weekend with Jodi and my teammates. As disappointed as I was with this race, it really was great running on a team again, encouraging each other on the course, feeding off the great support from Joe, Elizabeth, and Ian. That's what I'll take away from this race and look forward to next time. Goofing around a bit, before things started getting ugly. Almost forgot, quick gear report: Patagonia racing kit courtesy of MPF/RNR; Orange Mud HydraQuiver Single Barrel (continues to perform brilliantly) and trucker hat (I know it's cool, 'cause Kevin Bartow was wearing one too); Shoes: split time between the Salming Trail T1 and the Montrail Fluidflex. Nutrition: GU Brew and Roctane, as usual. The Sea Salt Chocolate gets a big thumbs up!